First published in 1741, J.S. Bach's Goldberg Variations is often considered the most ambitious composition ever written for harpsichord. As this conversation at NPR notes, the piece begins "with an initial melody, the Aria, followed by 30 short but brilliant variations built on eight notes that Bach appears to have borrowed from Handel." It's an impressive example of musical one-upmanship -- so impressive that the demanding piece still captures our often divided attention today. Now, with no further delay, let me direct your attention to The Open Goldberg Variations, the first Kickstarter-funded, open source recording of Bach's masterpiece, available entirely for free. 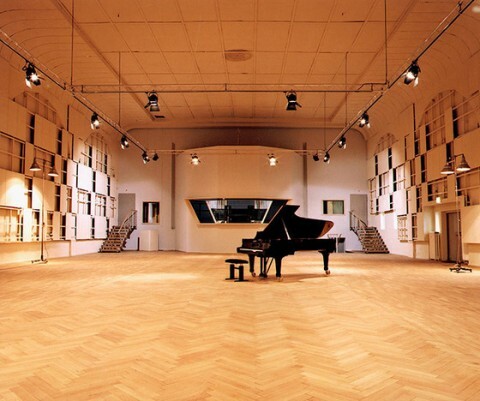 If you click here, you can download and share the newly-released recording by Kimiko Ishizaka, performed on a Bösendorfer 290 Imperial piano in Berlin. You can do pretty much whatever you want with the recording because it's released under a Creative Commons Zero license, which automatically puts things in the public domain. What a great present ! Muchas gracias! Really its not the best of the interpretations, not even close… but its a great piece to share free with the community. It was an order of a guy that couldn’t sleep to Johann Sebastian. In resume, more Bach and less sleeping pills! Wonderful idea for Kickstarter and lovely performance. Thanks for all who made it happen. Very beautiful. Wondrous compositions. Thank you so much and I have put this site on Twitter and do hope others learn about and enjoy this too. This site is hitherto completely unknown to me and I am very glad to have come across it. I enjoy many interpretations and it is a matter of personal taste for no-one may say what is right or wrong except for themselves. Music, art, books and many things are simply a matter of preference.